Magix is introducing in mid March an updated version of its pocket-money-priced Ringtone Maker program that's said to offer loads of new features, improvements and extras. * An easier-to-use front end with a simple three-step process for transferring to mobiles - select, edit, send - and with "numerous" presets provided for different models of phone. 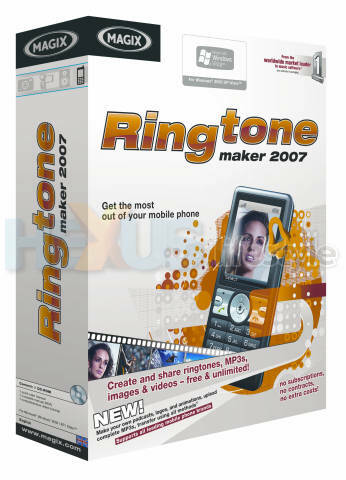 * An easy way of sending ringtones, MP3s, photos or videos from within the program via email. So, does this look like £20 well spent or just a collection of bits and pieces you could probably gather up for free? Let us know your thoughts in the HEXUS.community. If I just wanted an MP3 ringtone, I'd chop the bit I wanted using Audacity and transfer the file. The other stuff might be useful for some people, so I'm not going to argue that it's in any sense a ripoff, though.